That was the question posed to me by my buddy Mike, with whom I’ve been playing disc golf for nearly three years. 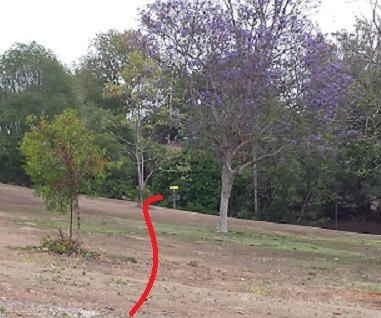 Over that time, I’ve certainly added distance to my drives, but I didn’t think this instance – a gradually uphill tee shot on Hole 5 at Brengle Terrace Park – was anything special. My hubris soon dissolved into humility as I approached my lie to find that, indeed, it was the longest I have thrown on that hole. The debut disc in the Marlette, Michigan company’s class of 21.5-millimeter rim-width distance drivers, the Photon is an overstable disc that supplies plenty of distance in a headwind-resistant package while still remaining workable for lower-powered throwers. And while it isn’t always the longest disc in my bag – there have been times where I have thrown farther with slower discs, depending on how refined my form is that day – it has explosive potential. If disc golf releases were given their own holidays, there is no doubt that devoted MVP followers would have observed May 22 with essential reverence. After clamoring for distance drivers seemingly since the last time a Cleveland sports team brought home a championship, loyal fans of the overmolded brand were finally rewarded with the Photon, and it came with a cherry on top: Fission plastic. Serving as MVP’s take on microbubble-infused polymers, Fission takes weight out of a disc’s core, thus shifting a higher proportion of a mold’s density to its rim and increasing gyroscopic stability. In the company’s first foray into these waters, with the Fission Volt, the blend had a glossy appearance and slick feel. This time around, though, Fission is sporting a tacky, almost rubbery texture and tremendous give in the flight plate. It’s a truly unique concoction that I can’t quite compare to anything else on the market; Innova’s GStar is close in terms of flexibility, but this run of Fission takes the cake for grip. Beyond the plastic, the rim width also commands attention. For a fast disc, the stress it puts on a power grip feels more akin to that of a speed 9 or 10 disc. This quality reminds me a lot of the Dynamic Discs Renegade, in that there’s a mind-over-matter effect at play that allows me to be more comfortable throwing the disc because it feels more natural. I wish more high-speed drivers fit my hand this way. A left-handed backhand or right-handed forehand thrower can flex the MVP Photon for greater success on distance lines. MVP slapped the “stable-overstable” tag on the Photon, and even at the low weights that Fission allows this is a moniker that makes my noodle arm nervous. I’ve tried other high speed drivers at low weights in an effort break the distance break, usually with disastrous results. So, while I was excited to give my 157-gram Photon a fair audition, my expectations that it was going to be a panacea to my power level were low. And that’s why the throw Mike asked me about was actually a second, practice tee shot. I should have known better, too. With a slight rise off the tee, the safer call for distance is a flex shot with something neutral-to-overstable, as opposed to the hyzer flip shot I attempted with my first drive. I am always able to get a little more air under my throws with an anhyzer release, and when I connected with the Photon, it went boom. Indeed, that was a common theme for the day. Any time someone threw the Photon during the round – be it myself, or my buddies who tossed it – it absolutely rocketed out of the hand. While it doesn’t feel like a fast disc in the hand, it most certainly flies like one, reaching its destination in a hurry. And often, that destination was the rarified air of pin-high territory. Mike took his turn with the Photon on the course’s seventh hole, which features a long uphill shot. He might as well have thrown it to Utah, because his shot landed in Park City – an easy birdie. He bought a Photon later that week. Our other regular player – also, conveniently enough, named Mike – is a forehand crusher who also found success with the Photon. He used it for an entire round recently, and particularly mentioned how its low profile makes for a comfortable forehand grip. Then he pretty much out-drove us on every hole. These experiences, though, come with a caveat: The Mikes are not noodle arms. They have the required arm speed to make the Photon shine on a consistent basis, whereas I have the arm speed to make the Photon shine when I flex it out for distance. Case in point: Hole 1 at this same course is another uphill shot where a left-handed backhand thrower like myself can choose between an open hyzer line or a flex shot between some trees. On the hyzer line, I get a long, straight flight with a reliable fade – but my distance is compromised. Employing the flex shot, though, I can gap the trees and put the Photon up near the basket with ease. In this manner, the Photon reminds me a lot of the Axiom Discs Wrath. With both being overstable, the anhyzer release angle is key for a noodle arm to gain extra distance. Plus, the Photon has a similar rounded-shoulder feel as the Wrath. MVP compares the Photon to a longer Tesla, but I was never able to flex a Tesla the way I can a Wrath or Photon. I know some have hoped the Photon would compare to Innova’s stalwart Destroyer due to the two discs’ stability similarities. However, the Photon is easier to throw for both distance and control than any Destroyer I’ve thrown – even Blizzard Destroyers. So, yes, they fall in the same spectrum, but I give the nod to the Photon as being more noodle-arm friendly. That said, you still have to mash on this disc and play with the release angle if you don’t work for the power company. Its overstable nature makes it a high-effort disc, so I’ve been a bit inconsistent with putting the Photon out as far as I would like to on a regular basis. Seeing its potential, though, makes me salivate over the prospect of the Wave, MVP’s to-be-released stable-understable offering in this speed class. I think it will suit noodle arms a bit better. The Photon, though, is an impressive debut for MVP’s warp speed driver class. With appeal to a wide range of power levels, it can be employed by noodle arms as an overstable risk/reward thrower and by power arms as a distance workhorse. Plus, it comes in weights down to 135 grams, so the strain on the arm will be less. Just make sure to use it for your first throw off the tee for the desired effect. Awesome review. I’m actually very interested in acquiring this particular disc, and I beleieve a fellow noodle-armed disc golfer’s opinion would greatly sway my decision. Can you make any direct comparisons between the Photon Fission plastic and Innova Blizzard plastic? My two favorite drivers right now are the lightest in my bag, the Blizzard Wraith (152g) and Boss (156g). Now, just comparing the flight numbers, it looks like the Photon would resemble a Destroyer, but I was more interested in comparing the plastics. Any feedback will be greatly appreciated, thanks.